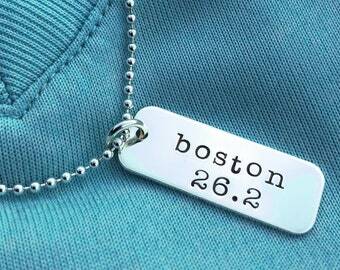 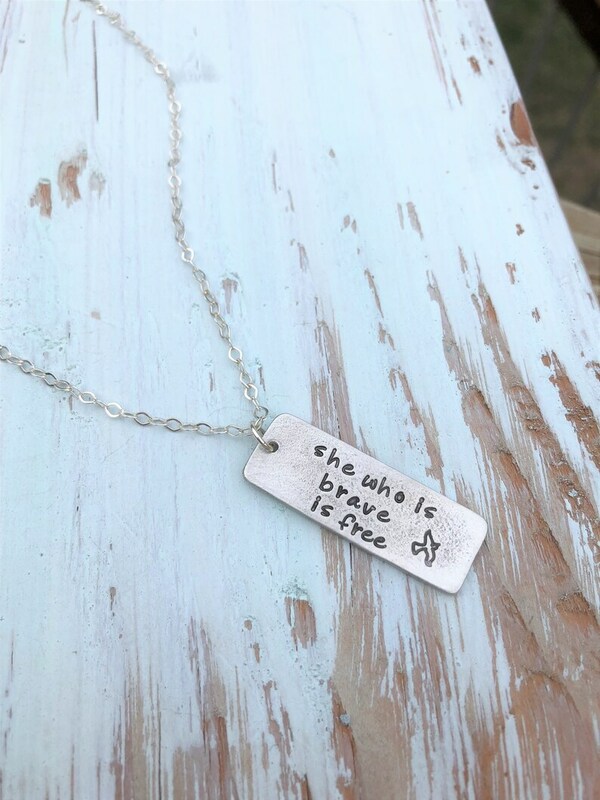 This pewter tag necklace is a great reminder to be brave! 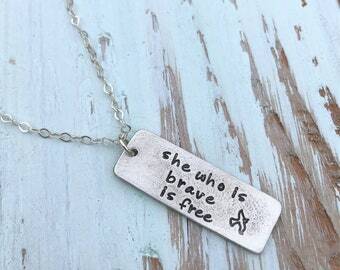 This is my take on a quote by Seneca: "she who is brave is free" and stamped with a bird in flight. 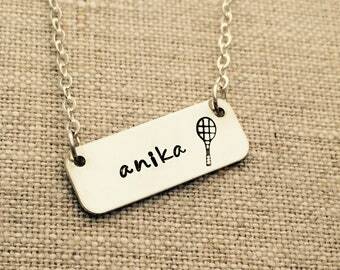 The pewter tag is 1 3/8" long by 1/2" wide and hangs on a silver filled cable chain in 16", 18" or 20" lengths. 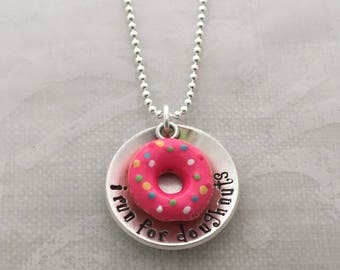 This makes a great inspirational gift.